The human eye is sensitive to light waves with wave lengths from approximately 380 nm to 780 nm. Light with wave lengths from approximately 30 nm to 300 nm fall into the spectrum know as ultraviolet light. It is called ultraviolet because its wave lengths are nearest to the range of violet in the visible light spectrum. The ultraviolet spectrum is divided into three distinct regions: near, far, and extreme. Near is the region closest to visible light. Extreme is the region closest to x-ray. Far is the region in between. Light in the near region is further classified as UVA, UVB, or UVC. UVA is considered long-wave or black-light. UVB is medium wave and UVC is classified as short wave or germicidal. 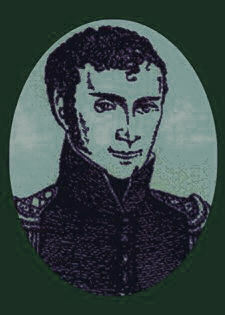 Early in the nineteenth century, a German physicist, Johann Wilhelm Ritter discovered that invisible rays of light, just above the violet end of the spectrum, would cause paper soaked in silver chloride to turn dark. He called them “de-oxidizing rays” to distinguish them from heat rays, but they were in essence, light waves in the ultraviolet spectrum. Scientists later discovered that ultraviolet light would cause some molecules (called monomers) to chemically bond forming compounds called polymers. This discovery would be particularly beneficial for the curing of inks, coating, and adhesives as it offered a fast drying (non-polluting) technique without the need for solvents and the polluting effects of volatile organic compounds (VOCs). UV curable inks, coatings, and adhesives are formulated with photoinitiators, resins, and non-solvent based diluters. When exposed to the proper energy and spectral irradiance, the photoinitiators begin polymerization with the resins and the coatings harden or cure. The curing process is generally very fast requiring only a matter of seconds of exposure to achieve a full cure. Mercury vapor lamps, also known as medium pressure mercury arc lamps, are lamps that are specifically designed to generate light in the ultraviolet spectrum. These lamps are gas discharge lamps that have mercury added. In operation, an electrical field is created in the quartz tube which causes argon to become ionized. 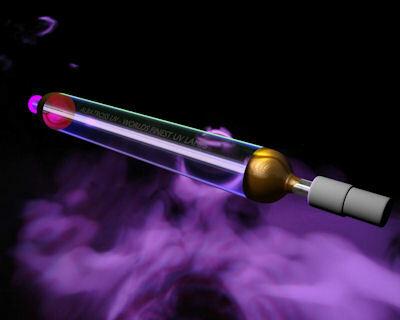 As the electrical field increases, heat and pressure builds within the tube vaporizing the mercury. The argon free electrons begin colliding with gas and metal atoms causing the orbital electrons around the mercury atoms to change energy states. Each time a mercury orbital electron falls from a higher energy state to a lower energy state, it emits a photon of UV light radiation.